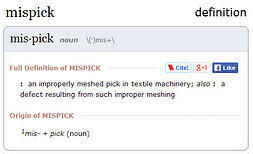 Mispicks in the order picking process can be easily defined and understood. Order picking is the process of pulling items from inventory in the warehouse to fill a customer order. However, eliminating mispicks is a costly and ongoing dilemna. In fact, distribution centers are losing an average of nearly $390,000 per year due to mis-picks, according to a study conducted by Intermec, Inc. The study surveyed 250 senior supply chain and distribution managers across the U.S., U.K., France and Germany, spanning industries including retail, manufacturing, distribution, transport, chemicals, logistics, pharmaceuticals, wholesale and FMCG. It found the average mis-pick costs approximately $22, with more than half (52%) of companies reporting a pick rate of less than 97%. A further 19 percent do not measure the costs of mis-picks in any form, suggesting that the accumulated losses to the supply chain may be higher. Most order fulfillment operations which manually select required products to fill a customer order have experienced picking errors. Humans are after all imperfect and prone to making mistakes. Picking is more than grabbing an item off a storage rack or shelf. In a typical manual distribution center, picking means an operator receives a paper list of instructions about what to pick and where. The operator travels to the correct storage location, locates the correct item within that storage location, refers to the paper pick list to determine the number of items required from that pick face, picks the items, confirms the pick by marking the paper, then delivers the items for packing. Within these steps there is a potential for error. If an operator experiences fatigue as they walk through a warehouse again and again during a shift in an environment with less‐than‐optimal lighting, it’s easy to see why picking mistakes happen. The wrong item is picked in addition to the correct item. The wrong item is picked instead of the correct item. The wrong quantity of items are picked. Which can be either too many or two few. An item is not picked at all. The condition of the item itself is unacceptable. For instance, damaged or mis‐labeled items. Most operations managers understand mistakes will happen, but may not be aware of the latest technology to reduce fatique and improve order picking productivity. By adding an order picking cart with portable power, the wasted steps are eliminated and accuracy of picking is improved. Companies such as Amazon, Ross Stores and others share their success in these case studies. 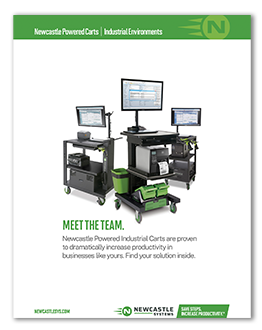 We have a new order picking guide available Download the Order Picking Guide to learn how you can rethink the way you manage order picking.